Happy Tuesday! A couple of weeks back I did a video sharing a few techniques on using the Dreamweaver Metal Stencils and I didn't share it here so I thought I would. I just did a class featuring the same techniques and these are the cards we made. 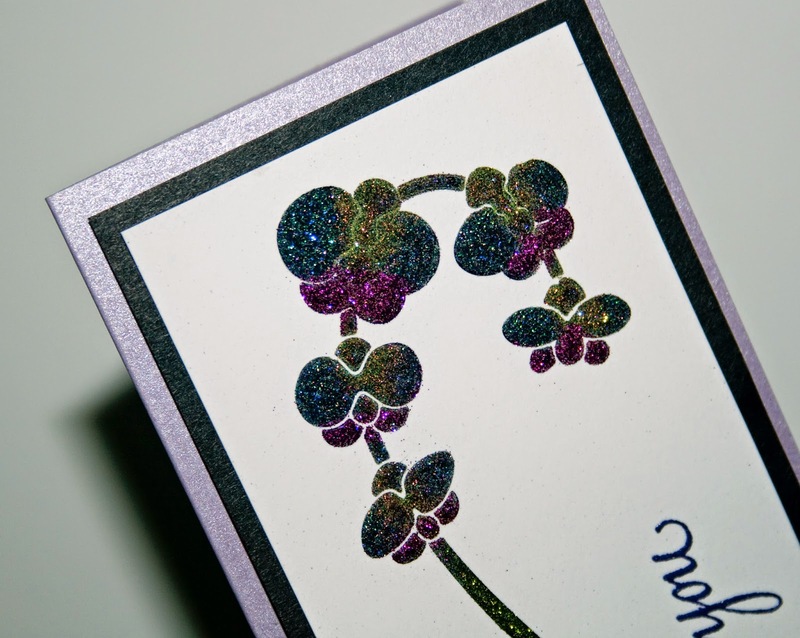 The first card is using the 2 1/2" Tear-ific Tape from SNS and the Velvet Glitters. The video show how to do this. 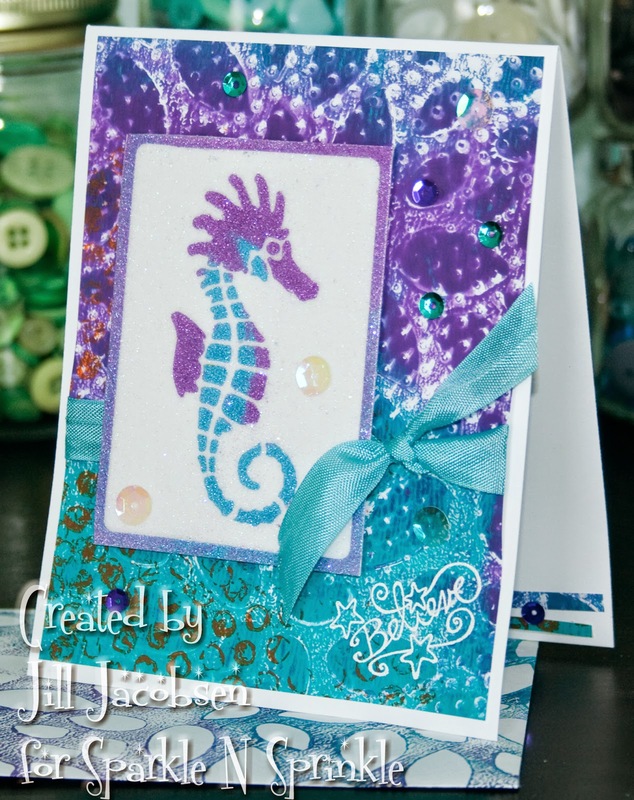 I also used a Gelli print for my background...love the colors! 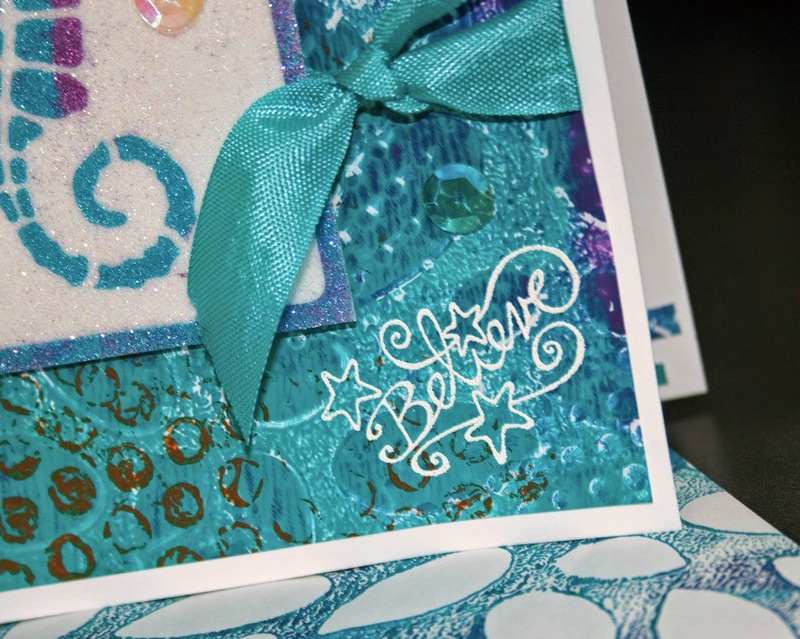 For the sentiment I used Mermaid Kisses stamp set and embossed in White Detail EP. 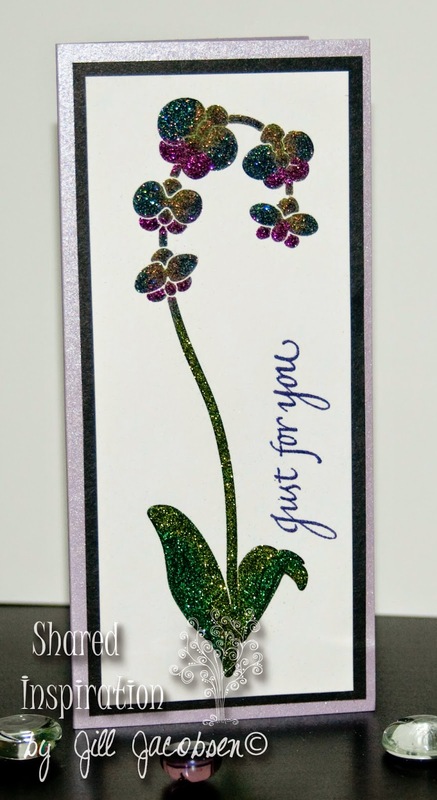 The added extra sequins just adds to the sparkle of this card! 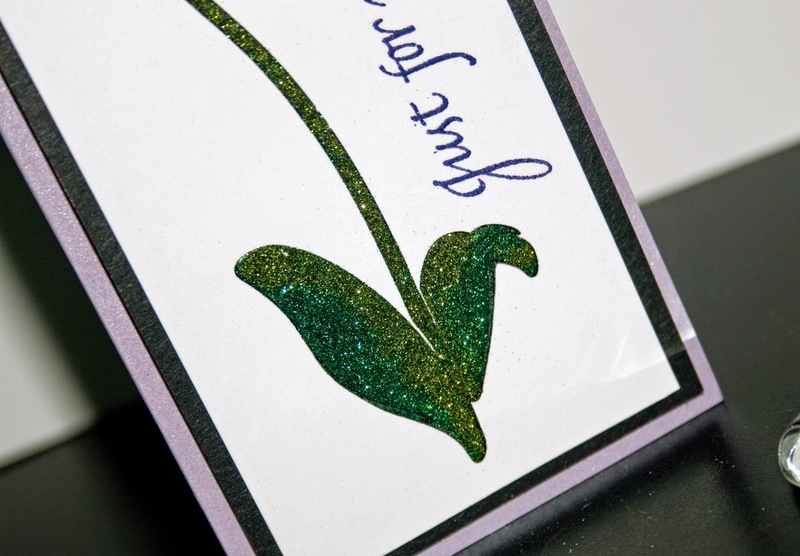 On this second card I used the Black Glossy Embossing Paste and then covered it completely with the different colors of velvet glitter, Purple Potion, Daisy, Cloud Nine, Luau Green & Lator Gator. The sentiment is from Just for You and I embossed with Concord EP. I like the way the black paste reflects the glitter. Take a look at the video below to see how the techniques were done.